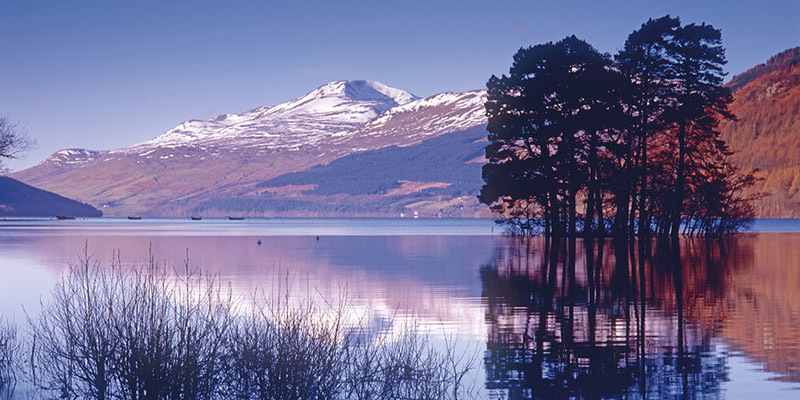 Aberfeldy is the Geographical Heart of Scotland so you can see much of Scotland within a day trip. Particularly Recommended for Autumn Colours. Route from Castle Menzies. Take the B846 westwards to Coshieville, take the left fork signposted to Fortingal. Leaving Fortingal fork right up Glenlyon. Turn left and cross the shoulder of Ben Lawers to Loch Tay and then westwards along the north side of the Loch to Killin. From Killin after crossing the River Dochart, take a left and follow the 17 miles south Loch Tay to Kenmore and hence back home. Take the B846 west to Coshieville, however this time take right fork up to the junction at the top of the mountain ridge. Follow the left fork signed ‘Schiehallion Road’ on the nearly single track road over the shoulder of Schiehallion. At Kinloch Rannoch follow the road up the North side of the Loch (11 miles) to the junction at the top. 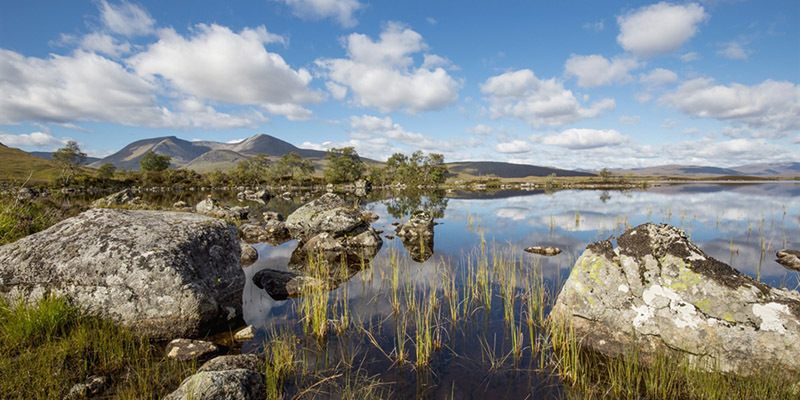 It is worth a journey from there to Rannoch station just to see what a Scottish wilderness is like. Road terminates there. Return to the junction and take a right turn to follow the road along the South of the Loch back to Kinloch Rannoch. There cross the bridge over the Tummel keep right and continue to Tummel Bridge. Before crossing the bridge there take the left fork and proceed along the North side of Loch Tummel to join the old A9 just above Pitlochry, and then Home. The road from Amulree to Kenmore through Glenquaich and over the hill into Kenmore has amazing views of Loch Tay. The alternative route to Pitlochry on the South side of the valley, turn left up the very steep road just after the church at Logierait. The roads up the South sides of Loch Tummel and Loch Tay. The road from Grandtully to Dunkeld along the South side of the Tay. General Wade’s original road. From Tummelbridge follow north over the hill to Trinafour, then immediately over the bridge there, take a left and the single track steep road leads over the hill to the A9 at Dalnacardoch. Narrow but saves many miles going North! 1. 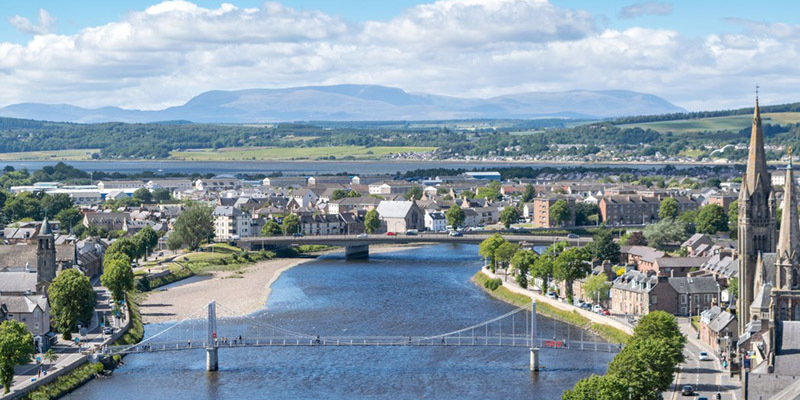 INVERNESS (2hrs) with Loch Ness and it’s monster. Worth a thought, save parking and worry about negotiating a strange and busy city full of one way systems. 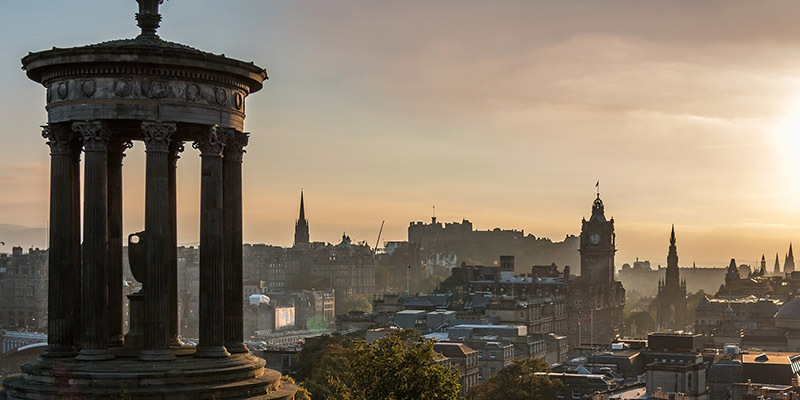 Just before you cross the Forth the Road Bridge – Well signposted and takes you to City centre.Large towns like Edinburgh can be difficult to explore if you are unfamiliar with them, but below are a few of our favourite places to visit. Edinburgh Castle a must for all. The Royal Mile –high street from the Castle to the Palace of Holyroodhouse. Botanic Gardens superb world renowned gardens. Royal Yacht Britannia now moored in Leith docks, and open to the public. ‘Deep Sea World’ just before you cross the Forth Road Bridge, beside the Park & Ride.. Walk under water and see sharks and all varieties of sea life swimming around you. Immensely popular with all ages. Edinburgh Zoo – see the pandas , but remember to book online first! National Museum Scotland- wonderfully restored in 2011. With its new £ multi million funicular mountain railway to the top of Cairngorm. Take a run to the ski slopes of Cairngorm and take the easy way up. The last word in modern uphill locomotion - Very easy and completely disabled friendly (including wheelchair access on the railway) for those with problems. Superb views at the top, the highest restaurant in the UK, a splendid café with amazing views.